Attractively designed and functional box. Contains one ergonomically shaped plastic holder. Ensures that correct pressure is applied and that brush can be easily inserted into every interdental space. For use at home or when travelling. 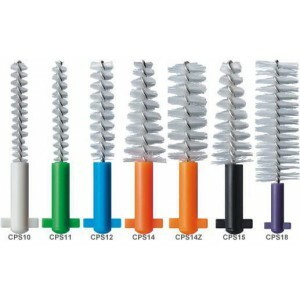 Curaprox Interdental Pocket Set is a patented click system allows quick and easy changing of the brushes. This attractively designed and functional box for use at home or when travelling contains one ergonomically shaped plastic holder UHS 450 mini click and 3 CPS prime brushes. Brushes can be replenished individually.